chapter 3 : Boys who journeyed to Rome | Light and Shadow: Christian History, Resurrected. Hidden Christian Sites in the Nagasaki Region. 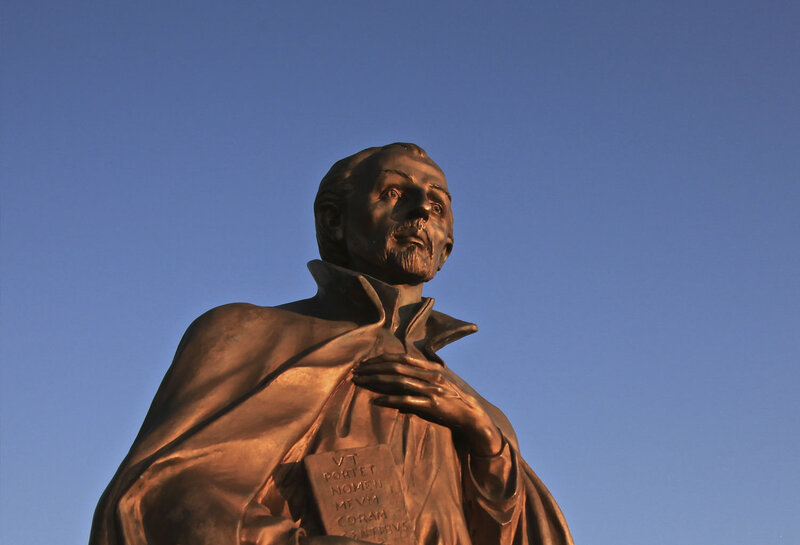 In the 16th century, four boys who studied in the seminary of Arima left for Europe. For this enormous project, what expectations and how much responsibility did they carry with them? They were given enthusiastic welcomes in many European cities, and have accomplished great feats, such as meeting the Pope and bringing back a letterpress printing machine. However, when they came back after the voyage that took eight and a half years, Japan was unfortunately in the era of anti-Christianity. 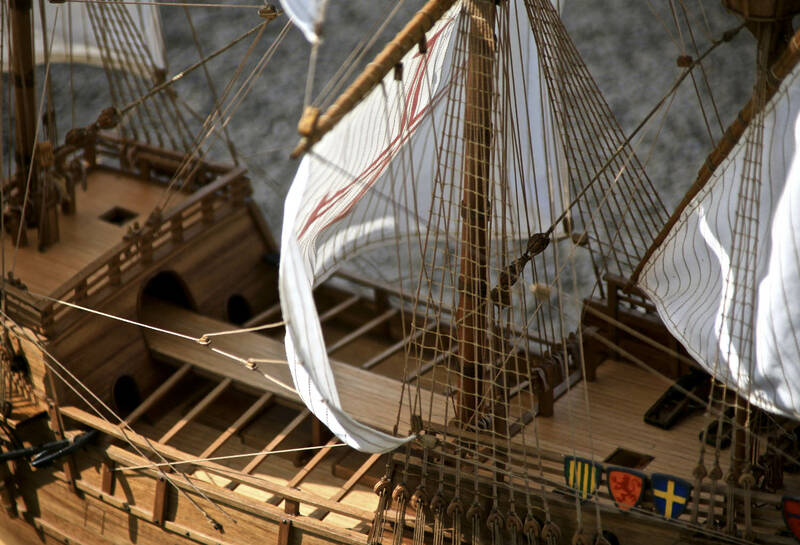 In 1582, one Portuguese ship departed from Nagasaki Seaport. In the ship were four boys and a Jesuit missionary, Father Valignano. They were called the “Tensho Mission”, the first Japanese group to visit Europe. Their purposes were to meet the Pope and the kings of both Spain and Portugal to ask them for missionary activity support and also to allow them to really feel the greatness of Christianity in European countries. They hoped that this experience would help them spread Christianity in Japan. The four boys who were given these great responsibilities were Mancio Ito, Miguel Chijiwa, Juliao Nakaura and Martinao Hara, as proxies of the Christian daimyos in Kyushuu, Harunobu Arima, Sumitada Omura and Sorin Otomo. The promising young men had received an education in subjects such as Christianity, geography, astronomy, Western music and Latin. However, it did not change the fact that they were only 13 or 14 years old. They must have felt very anxious during that great and dangerous voyage. As expected, the voyage was very tough because they had to go through a turbulent storm in the Indian Ocean, and they also experienced serious febrile illness in the tropics. 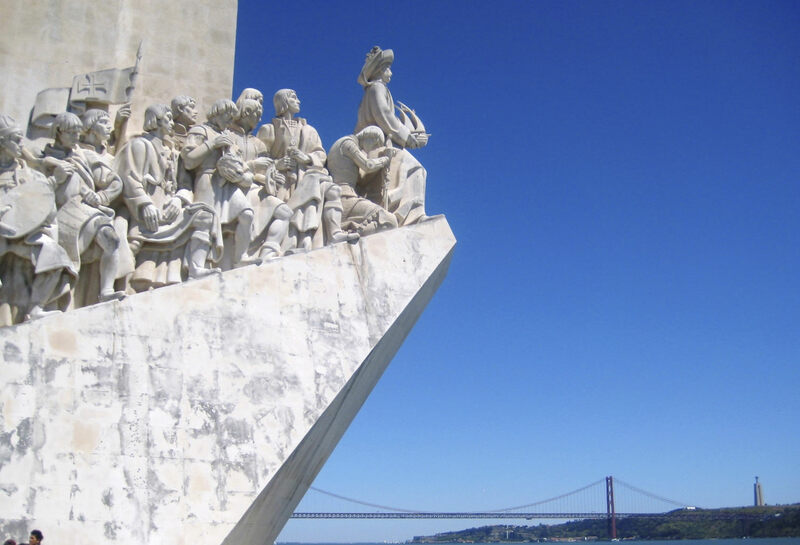 It was in August, 1584, two and a half years after their departure, when they finally arrived in Lisbon, Portugal after a long voyage via India and the Cape of Good Hope in South Africa. Their visit was a surprising, yet welcome one for they were warmly accepted by not only Phillip II, but also kings and feudal lords of the places they visited. When the boys first met them, they behaved intellectually, and the Europeans were instilled with a sense of admiration for them. After that, the group entered Rome where they went to meet the Pope, Gregorius XIII. The boys met the Pope at St. Peter's Basilica. Just then, the congregation of the cardinals was being held, so it was as if they were welcoming a royal delegacy. The Pope was 83 years old, but he was very glad to see visitors from Japan, and he hugged each one of them. Without doubt, it must have been the happiest moment ever for the boys. Due to a high fever, Juliao Nakaura was not able to meet the Pope. However, the Pope, worried about him, went to the trouble of taking a carriage all the way to see Juliao in person. 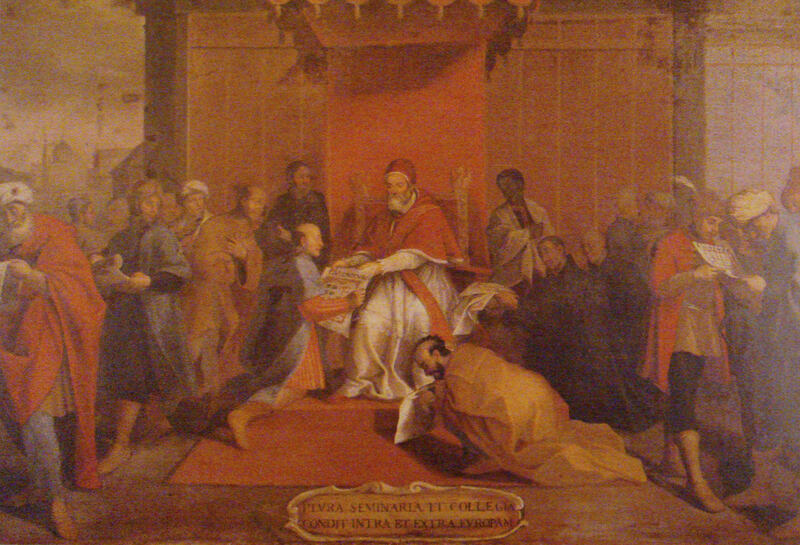 Soon after that Pope Gregorius XIII passed away, and Sixtus V was chosen to be the new Pope. In Rome, there was a coronation parade, in which the boys took part. After successfully completing their mission, the boys departed Rome and began the trip back to Japan. However, wherever they stopped, they were welcomed very passionately. Father Valignano’s purpose in undertaking the Tensho Mission, to make Japan known in Europe, was successfully accomplished. On April 12, 1586, the Tensho Mission finally departed from Lisbon, Portugal. On the way back, there were some accidents, such as the mainmast of their ship breaking due to strong winds. They overcame such troubles, reunited with Father Valignano who had become the viceroy in Goa, India, and then continued on their voyage. Then, they arrived in the Nagasaki Seaport in July, 1590. Their eight-and-a-half-year-long trip had finally ended with their return to Japan. At this time, Sumitada Omura and Sorin Otomo, who dispatched the mission, had passed away and Harunobu Arima was the only one left alive. 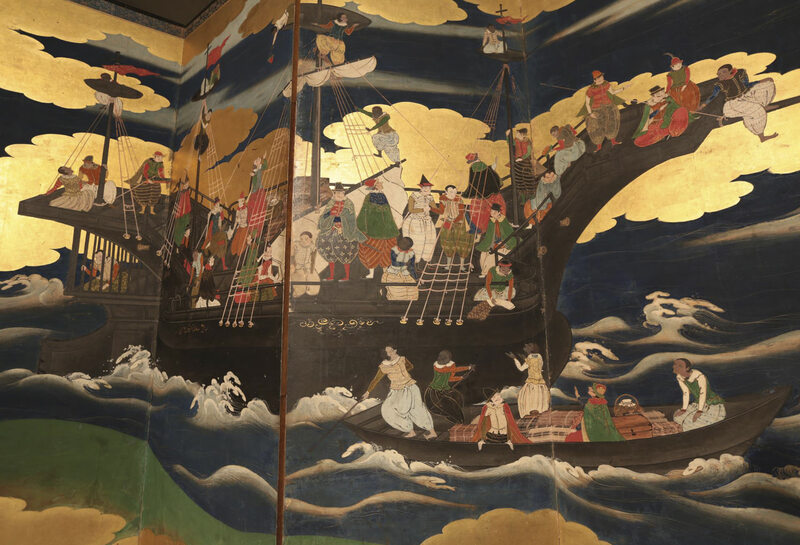 Upon the four boys’ return, they were warmly welcomed by Harunobu and in the following year, they met Hideyoshi Toyotomi at Jurakudai, in Osaka. Hideyoshi was so glad to hear the Western music that the boys performed, he called for many encores. Nevertheless, suppression of Christianity later became accelerated and their glory too was destined to fade away. For Japan at that time, sending the Tensho Mission was a grand project. There is an opinion that the dispatch of the boys was not directed mainly by the Christian daimyos, but arbitrarily by the missionary, Father Valignano. Nonetheless, its historical value does not fade. Introducing Japan to Europe, and furthermore, bringing a letterpress printing machine and advanced Western technologies and cultures back to Japan…boys, who at the time of their departure were only 13 or 14 years old, from a seminary in Arima accomplished these feats. The accomplishments of the four boys in Europe, have been recorded in a tremendous number of books and leaflets published in Europe. It has been 400 years, but there are still historical records being discovered even now, which indicates how great an impact they must have had. The narrative of the boys’ voyage forever calls to us over the ocean and time of history.